Prior to joining CareSource, he led Horizon New Jersey Health, the state’s largest Medicaid plan, as CEO. During his tenure, the organization served 1 million members and was recognized as one of the fastest growing Medicaid plans in the country growing its revenue from $2.2 billion to $6.3 billion in the span of three years. Erhardt is a decorated champion of technology and innovation in long term care. Under his direction, the plan earned a #3 ranking in the 2016 InformationWeek Elite 100 and a 2015 Digital Edge 25 distinction. 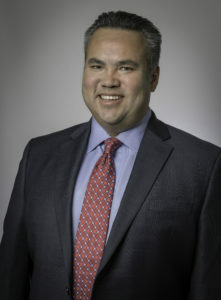 His career includes leadership positions with a number of prominent health care organizations including Aetna, WellCare Health Plans and UnitedHealth Group. Erhardt graduated from the University of Nevada with a Bachelor of Science in finance and economics and also holds a Master of Business Administration degree from Penn State University. He is active in the health care industry and recently served as chairman of the board of directors for the Medicaid Health Plans of America and as a board member of the Institute for Medicaid Innovation.